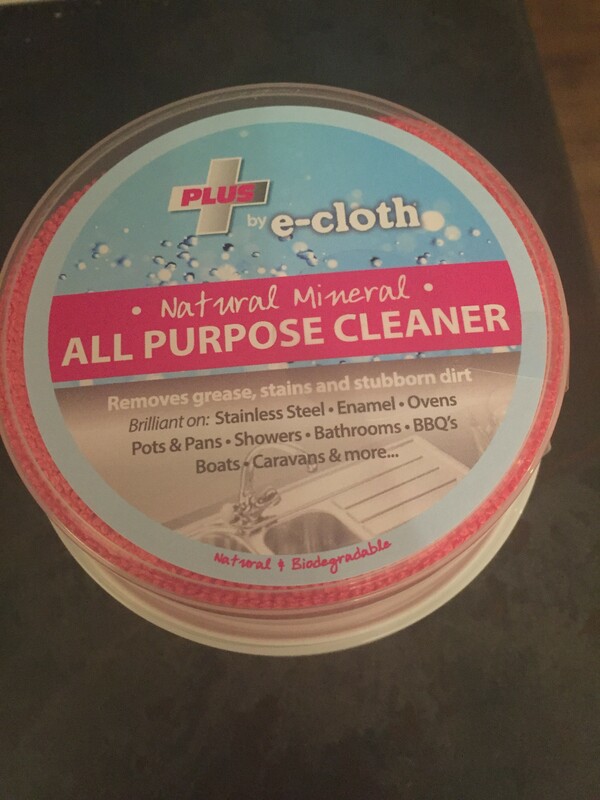 With Spring fast approaching and a house to keep clean and a dog that moults and treads muddy paw prints through the house I wasn’t going to turn down the offer to review some house cleaning products from E-Cloth. I received the products a few weeks later after been contacted. 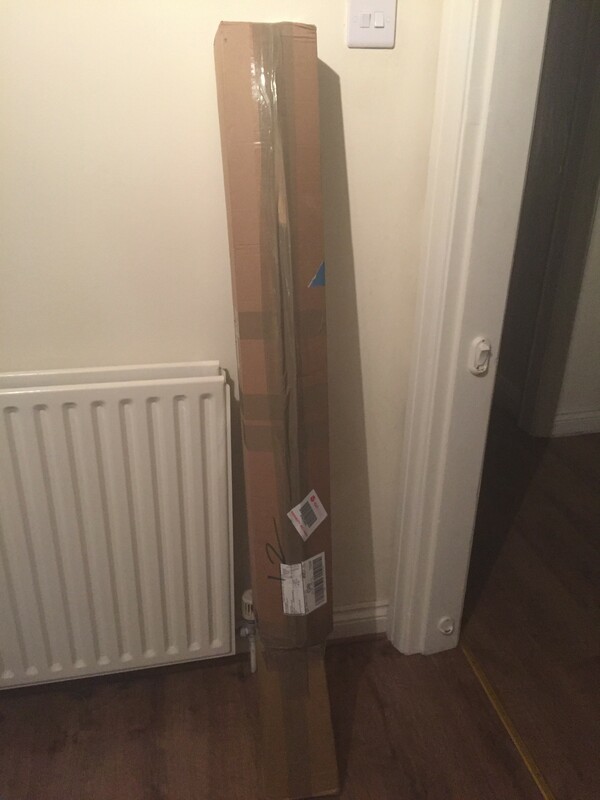 The products came well packaged as well to prevent damaged as it was a large delicate item. As sad as it sounds I couldn’t wait to try the mop out because with having a dog there is constant muddy paw prints all over the floor so I am always mopping up. 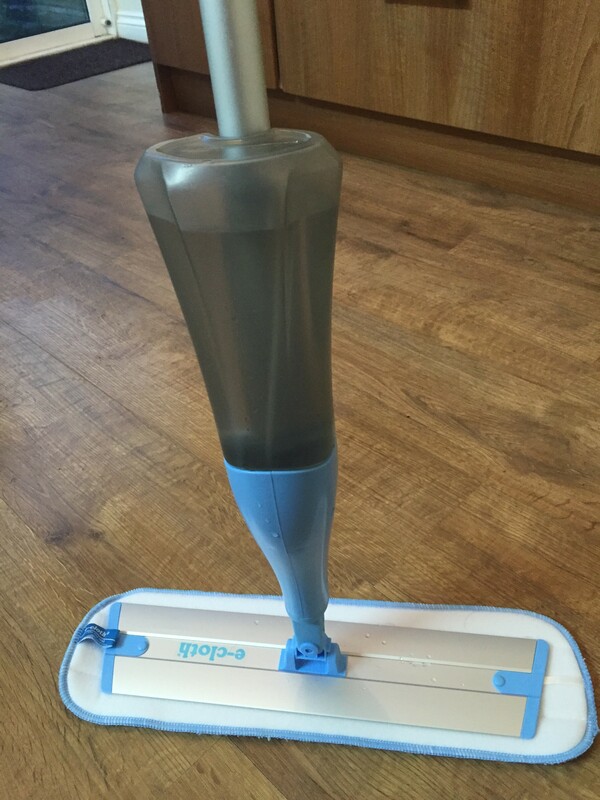 This Aqua Spray mop is brilliant, light weight and extremely easy to you, you just detach the water bottle and fill with just water, then just press the handle and it will spray the water out onto the floor. If you wish you can spray a cleaner onto the floor first, then spray the water and away you go. The mop head has long fibres and a special weave that enable it to break up and hold grease, dirt and over 99% of bacteria, using just water. Another great thing about this product is the cloth is removable and can be washed easily. As in every kitchen you get water marks, food splashes and dull stainless steel, well look no further than this all-purpose cleaner it works on stainless steel, kitchen sinks, ovens, pots & pans, garden furniture, trainers, boats, caravans and much more. 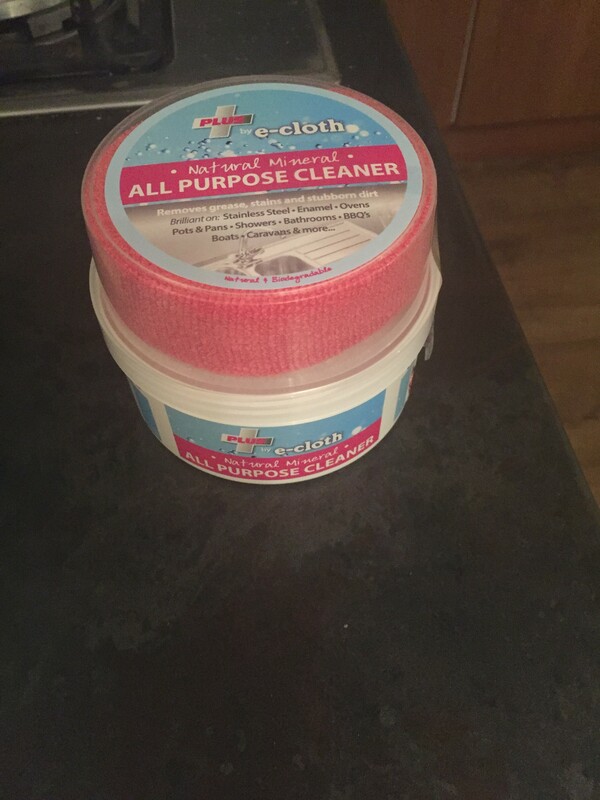 It comes with an e-cloth and a little scourer too and you can just dampen it dip it in the cleaner and it will remove tough and stubborn stains easily. This is a great little cloth for the kitchen aswell. It has long microfibre’s so is easy to collect and clean all those stubborn hard to remove stains,It Is ideal for a quick ‘whizz’ around the kitchen. Just wet the whizz under the tap, wring out and clean worktops, hobs and around the sink. All using just the power of water. You will notice if you look closely at the cloth there are dark green scrubbing stripes these are made from a more abrasive material to remove stubborn dirt and residue easily. Since owning a house I am always looking for more ways and easy ways to keep on top of the constant cleaning of the house. I rate all these products 10/10 they are brilliant and would defiantly recommend them. *I was sent these product free of charge, all opinions are my own. Looking for a new mop as my old one is tired and the old school spaghetti mop. Thanks for a great review, will def consider when buying new mop. 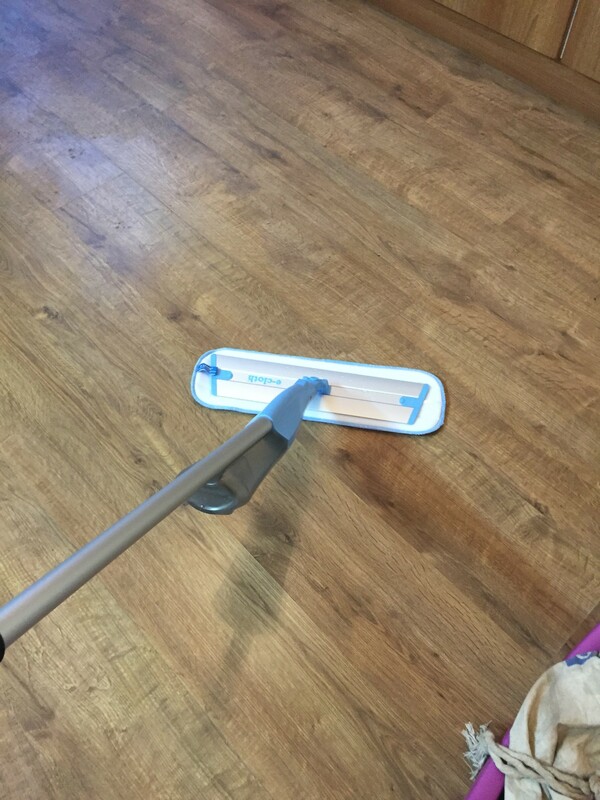 The mop is amazing and so easy to use. Makes light work of dirty. Let me know what you go for. 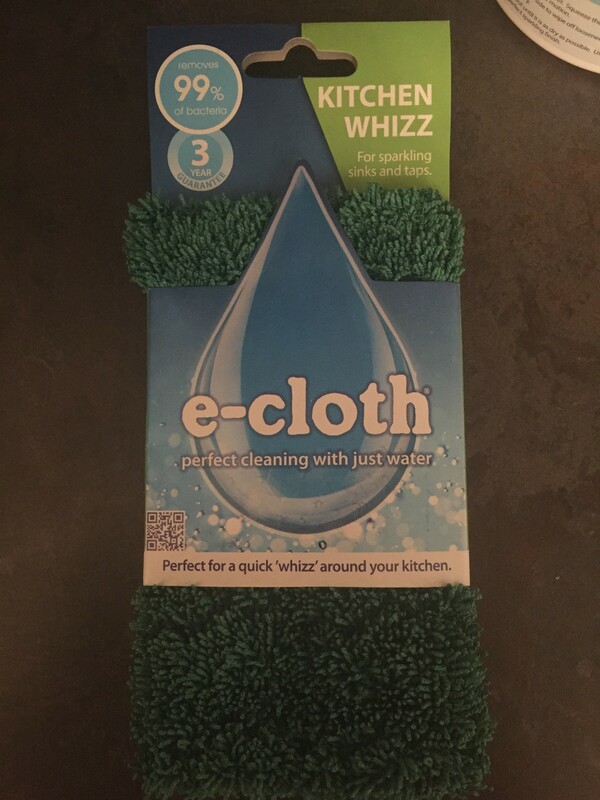 I love the E-Cloth, i’m like you i wizz through the kitchen with it & it the perfect size too !